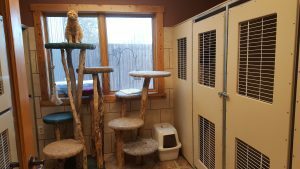 At Old Stone Pet Lodge we offer individual cat condos, in a bright, airy and comfortable, home-like environment, full of entertainment. 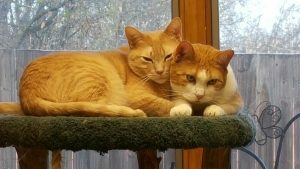 We guarantee to let our feline friends out of their individual condos minimally 3 times a day to climb and roam freely. If possible, mark all belongings with your pet’s name. Oral medication will be given at no charge. Non-oral or topical application, including eye and ear medications, will be administered for $1.00 per day. Owners must provide pet’s medication and instructions for administering at check-in.